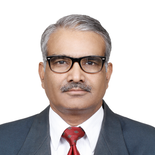 Bimal Behari Prasad (60) is a government servant in the Government of India. As a student of Advaita, he also works for the cause of Advaita. Not available in printed form. Answer: It is axiomatic that ‘nothing’ cannot give rise to ‘something’: existence cannot come from non-existence. We all know that we exist. We experience existence. The realization ‘we are’ is prior to ‘we are this’ or ‘we are that’. But when we are asked to define ‘existence’, we encounter difficulty because it is unlike an object of perception. Any object of perception has both form and content. Forms come and go and therefore they do not have existence in their own right. This is true of any form, subtle or gross. In the case of clay pot; pot is the form whose existence is dependent on clay which is the content. If clay is removed from the pot nothing remains. However, clay does not depend on the pot for its existence. 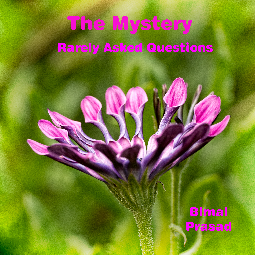 Q15: Is Pure Existence the Reality? Answer: Humanity has been in search of Truth or Reality for ages. Saints, philosophers, and others have engaged in this pursuit. Sometimes, it appears that the goal is near and at other times, it seems a mirage. The first question is about the definition of Truth. If there is an accepted definition, the task will be easier. Truth and change are opposite to each other. What changes cannot be the truth and the truth is not subject to change. There is a relationship between change and time. Change can be in the context of time only. On the other hand, Truth does not change with time. Truth is not dependent on time. If this explanation of Truth is accepted, it would seem that nothing is Truth in this universe; even the universe is not Truth, because all are subject to change. Then the question arises: what is the Reality? The answer is that Reality is one which remains changeless or cannot be negated in three periods of time: past, present and future. Let us examine the existence of pot, an object of perception. Pot is not the reality because its past is clay. Clay is also not the reality because its past was some other chemicals out of which it was made. If we analyze further, it is obvious that nothing which can be objectified can claim to be the reality. Reality is falsely attributed to objects of perception. It is axiomatic that ‘nothing’ cannot give rise to ‘something’: existence cannot come from non-existence. At Q14, Pure Existence has been explained. It is formless. Water cannot melt it, air cannot dry it, weapons cannot pierce it, and fire cannot burn it. It is beyond change, complete in itself. So, it is the Reality. Everything, material or immaterial, is a form or manifestation of Pure Existence. In the book, ‘The Essence of Vedanta’, Brian Hodgkinson has explained that since in our experience something exists, be it real, Illusory or whatever, then the substratum of that is existence itself. It is not possible for anything which is merely an appearance or illusion to exist without a substratum. This substratum is Existence itself. What if nothing whatsoever exists? That cannot be so. Even in the absence of gross form, we can never validly say ‘nothing is’. There is ‘nothing consciousness is’; there is experience of ‘nothing exists’. Existence is undeniable basis of whatever is, albeit that it is an illusion. Pure Existence is self-revealing. This logic can also be applied to non-existent things like a unicorn, son of a barren woman and lotus in the sky so as to validly hold that Pure Existence is the substratum of such non-existent things also. Q16: What is the relationship between Pure Consciousness and Pure Existence? Answer: When we say, ‘the pot is’, it actually means, ‘the pot consciousness is’. Consciousness is manifest as existence. Existence of Pure Consciousness cannot be negated because Consciousness must be present to negate it. Pure Consciousness can claim to have pure Existence. We have also been exposed to the revelation that everything material or immaterial is a form or manifestation of Pure Existence and that both Pure Consciousness and Pure Existence are formless. Furthermore, it was explained respectively at Q10 and at Q15 that Pure Consciousness is the substratum of every experience and Pure Existence is the substratum of everything. Thus we can validly infer that Pure Existence and Pure Consciousness are so very fundamental that they do not need any verification. Their experience is self-evident, though we are unable to fathom their nature. They cannot be objectified and are beyond the realm of our means of objective knowledge. Pure Existence and Pure Consciousness are beyond space and time and are therefore changeless. In short, we can unhesitatingly conclude that Pure Consciousness and Pure Existence are same and they pass the test of Reality. We have seen that our ground is Pure Existence, Pure Consciousness. Nothing exists, separate from Consciousness. Whatever exists in the objective empirical world has relative truth vis-a-vis the Pure Consciousness. Q17: What is the relationship between Consciousness and the Present? Answer: Time is divided into present, past and future. Present is preceded by past and succeeded by future. But only the present matters. The past exists as memory and the future as imagination. When we try to pinpoint the exact present, a difficulty arises. Each "moment," takes up time and is breakable into smaller "moments. As time is divisible ad-infinitum, we cannot isolate a true present. Every bigger moment has smaller moments as its contents. If the process is continued, we can say that the true content of time has to be timeless. However, there is an ongoing experience of the present and nothing really exists outside it. The past is gone and the future has not yet come. The source of this experience has to be something beyond time. Pure Consciousness is present in all three divisions of time and the Consciousness provides the experience of an ongoing present. Q18: Is Consciousness inert or active? Answer: Consciousness does not act. Action takes place in the empirical world. However, at the empirical level, there is nothing else that can enable action other than Consciousness. Consciousness operates through the instruments of the mind and the body. However, the mind wrongly usurps the role of doer. Consciousness is not a 'doer', but there is no ‘doer’ other than Consciousness, in a similar way to electricity and bulb. Electricity is invisible but the bulb cannot emit the light in the absence of electricity. Another example is of screen on which a film is played. The screen does not act but without the screen the film cannot be played. In the same manner, Consciousness does not act but all actions are in Consciousness. The screen-film example is a lucid example. We may revert to this example to dispel any doubt or confusion. Q19: What is the location of Consciousness? Answer: Peter Francis Dziuban has analysed this in his book, ‘Consciousness Is All’. “General human belief of course always has said that the Consciousness is confined inside the human body, somewhere in the brain. That simply is not true, though it may seem or appear so. It’s an assumption, just like the old assumption that the earth was flat because it appears so.” At Q5 it was explained that it is now gradually believed that beyond the mind and the body is Consciousness. Consciousness is not limited by the body-mind complex. Q20: Has Consciousness been created? Answer: Peter Francis Dziuban has provided a common sense explanation. “Consciousness could not have been produced by chemical or biological process, or any other thing we are conscious of. Why? Because the thing would have to be before there was Consciousness. But if there were no Consciousness, there would be no Consciousness to even say the thing itself existed! The thing itself could not honestly be said to exist, thus would not exist to do any producing! Hence Consciousness exists outside the universe. Consciousness was never created. It is ever-existent.” Existence of everything is dependent on Consciousness. Q21: What is the view of modern scientists on this? Answer: There is continuous debate in recent years among scientists, philosophers and psychologists on the subject of Consciousness. Yet, there is no consensus. However, there is a prevailing view that Consciousness, in some way, originates in the mind once an organism reaches a certain level of complexity. This relegates it to an epiphenomenon of the mind. But this view has a flaw; a hard problem: how can material things give rise to intangible Consciousness? Q22: Can the universe exist without consciousness? Q23: Is there a distinction between Consciousness and consciousness of an object? Answer: There is a subtle but important difference. Pure Consciousness is undifferentiated. However it is required to support the perception of an object. Only when it is directed towards the object via the mind and sense organs, we become conscious of the object [Refer to the Answer to the Q7]. It may be called ‘object consciousness’ or ‘manifest consciousness’. Answer: We are generally conscious of things (objects, thoughts, emotions). In a heightened state of awareness, we are also aware of being aware. This is self-awareness. Answer: When we are aware of a thought, it means that the thought is illuminated by Consciousness. Awakening is a shift in Consciousness in which thinking and awareness are differentiated. We recognize ourselves as the awareness behind it. Instead of being in charge of our life, thinking is subservient to awareness. Q26: What happens to Consciousness during sleeping and dreaming as compared to during waking? Answer: When we are awake we perceive the material world with the support of Consciousness. Consciousness is directed to the gross, outside world. We are part of the world and 'I' is taken to be the body and mind. In dream, the mind generates its own (subtle) world and an imaginary body. Consciousness gets identified with the dream world and the body. In the deep sleep state, there are neither gross nor subtle objects but Pure Consciousness remains and is not identified with anything gross or subtle. The proof that Pure Consciousness exists in deep sleep is that when we wake up we know that we were aware of nothing. Consciousness must have been present to know this. Thus, what is present during all the three states is Pure Consciousness which is the real ‘I’. This is also the claim in the scriptures. Consciousness functions throughout and is the substratum of all three states of waking, dream and deep sleep. As Consciousness is not identified with anything in deep sleep, deep sleep is closest to our true nature though we are not aware of it. Nonetheless, there is freshness, energy and peace on waking up. This suggests that during deep sleep we are very close to our true nature of unlimited-ness.